Since I used a Guide to understand Ishins Story I enjoyed it very much. 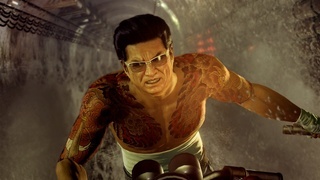 It feels like a normal Yakuza Game but in a new setting with everything a Yakuza Game should have. Maybe some day It will get localized but I don't think so since Kenzan didn't got an Western release either. @Zeraslight The atmosphere and vibes Ishin has... incredible. I really like this track and sounds like a classic Sega soundtrack at 2 "00. Long battles always have an epic soundtrack more galvanizing than a Staminan Royale! Dead Souls hasn't got the best soundtrack but this piece is awesome. It reminds me of Diablo, especially the beginning. Or Castlevania, it's gothic ! It could feature in a soundtrack of a J-Rpg like Final Fantasy !